VisionLab .NET is a set of .NET 2.0-4.5 components for advanced computer vision. 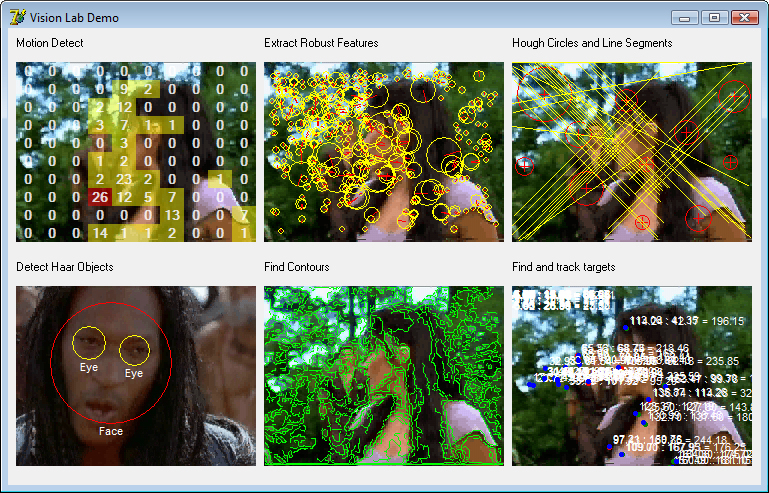 Allows rapid development of fully featured computer vision applications for the security industry with zero lines of program code, It includes Canny edge detection, Adaptive Threshold, Hough Lines, Contour Finder, and Target Tracking, Face detect, SURF, Background subtractor. Also includes video capturing, record, and playback components. Free for non-commercial use. VisionLab .NET is a set of .NET 2.0-4.5 components for advanced computer vision. - Video Players - Play compressed or uncompressed AVI, MP4, WMV files or IP streams.